This summation of his life's work, published posthumously in 1862, became a seminal influence in the modern environmental movement and is no less relevant today than 150 years ago. "Above all, we cannot afford not to live in the present," he wrote. He extolled walking as a delightful and necessary idleness, an antidote to the burdens of civilization, a means of immersing ourselves in nature and awakening to the moment. 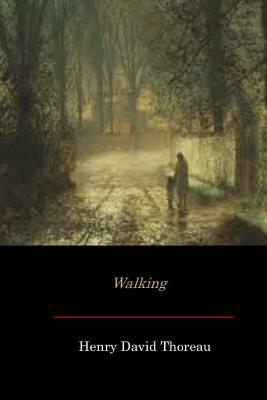 "Walking" is recognized by most scholars as Thoreau's "other" masterpiece, Walden in a more concise form. In the introduction of this edition, Adam Tuchinsky accessibly and engagingly unpacks the essay's nineteenth-century associations, highlights the startling modernity of its sentiments, and reveals why Thoreau remains the towering figure in the history of American nature writing. Exquisite contemporary nature photographs curated by Denise Froehlich grace this handsome book. B&W nature photos from Kurito Koichiro and other fine art photographers captioned with memorable lines from Thoreau's writings.